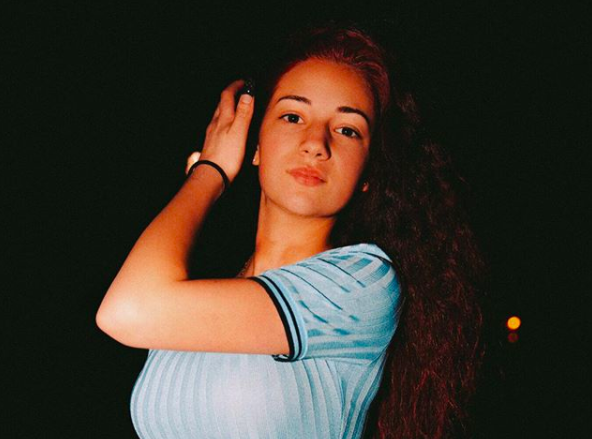 Danielle Bregoli… remember her? The potty-mouthed teenage tearaway who went on American TV and had a row with her mum in scenes that went on to become viral? Come on, course you do. It was only last year. Well, since saying ‘cash me ousside’ and sending social media into a frenzy, the 15-year-old has done good for herself. Very good, in fact. By all accounts, Bregoli is now a millionaire thanks to a less-than-extraordinary foray into the music industry. What does one buy with their first MILLION? Ask millionaire Danielle Bregoli. There we have it folks: ‘I only spend my money on nails and eyelashes.’ Fair enough to be honest. Quite a smart move. Let the money build and treat yourself later on in the game. It’s tough out there. During the interview, Elliot expressed how Ira’s worst fear for Danielle is ‘that no one steps in and stops her spiralling out-of-control lifestyle that involved hanging around with dangerous people, documenting every dysfunctional moment of her life on social media, this isn’t how you raise a daughter, but this is how Danielle’s mother is choosing to raise her daughter’. Ira’s mother has full custody of her daughter, which means that it is easy for her to block Ira from having contact, despite his numerous attempts to organise supervised visits. Instead of using Ira’s insurance to get therapy and help for Danielle’s mental health, her mother is bringing her ‘Hollywood, agents, Instagram fights, dysfunction, and hanging out with dangerous people’. Ira has not been able to reach his daughter for the years that he has been trying. He’s going to court now because it’s the last resort. This is hopefully the move that will get him some influence in his daughter’s life and begin the process of saving her from a destructive and incredibly dangerous lifestyle her mother has put her in. Over the years they have communicated, they’ve had lunches. Ira has suggested supervised visitation because Danielle’s mother wouldn’t allow the two of them to be alone. So Ira tried to organise some supervised visitation. They had a date and time lined up, and then Danielle’s mother prevented her from showing up. Let’s hope this situation comes to a close with all parties happy.